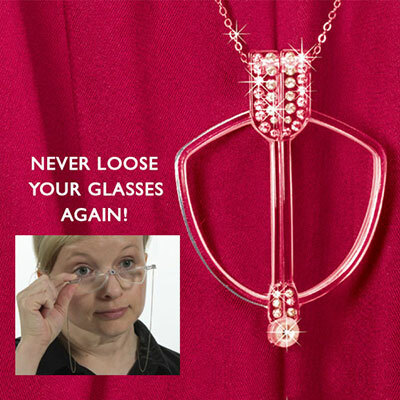 Is it a stylish pendant necklace or a pair of reading glasses? Surprise-it's BOTH! Folding reading glasses with magnetic closure for added convenience. When closed, they hang from a silver-tone link chain just like a decorative pendant. Chain, 28"l; Pendant, 3"h. Hurry! Quantities are limited!